Through the 1700-1800s Pennsylvania was known for being an iron rich state, so much so that iron became a huge part of our architectural history as a region. 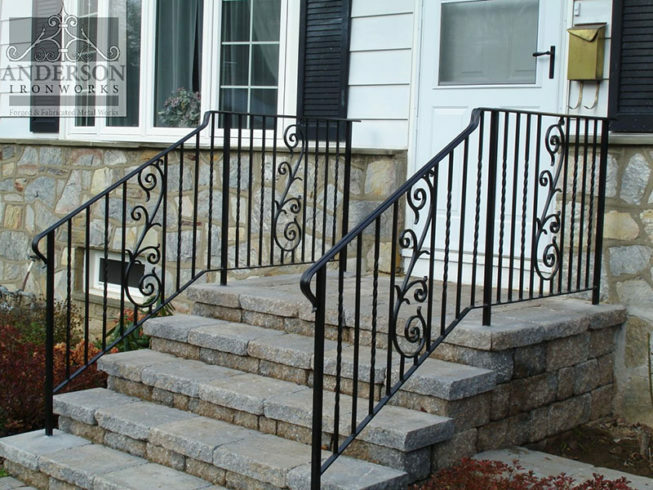 That’s why many homeowners today opt for beautiful iron elements to accent their home’s driveways, walkways or staircases. It’s a nod to classic Philadelphia architecture and a great way to make a property look new and traditional all at the same time. Classic elegance. 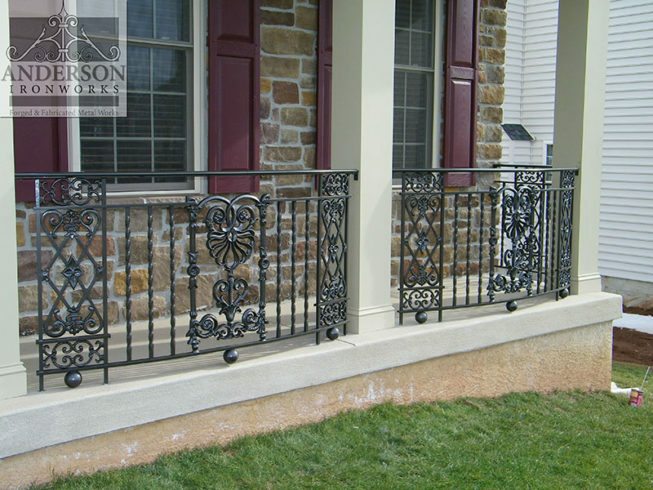 This railing is complex and ornate and almost becomes the focal point of the porch given the simplicity of the pillars. Our skilled craftsmen are able to create beautifully intricate designs to match your decor vision. Traditional with a twist. At first glance, this design looks like a very classic style railing, but upon looking closer, you’ll notice the very modern flair to this railing. Paired with the classic stone architecture of this home, the exterior of the property gets an update, making it look both fresh and traditional. Modern whimsy. Sometimes, your aesthetic calls for something off the beaten path. 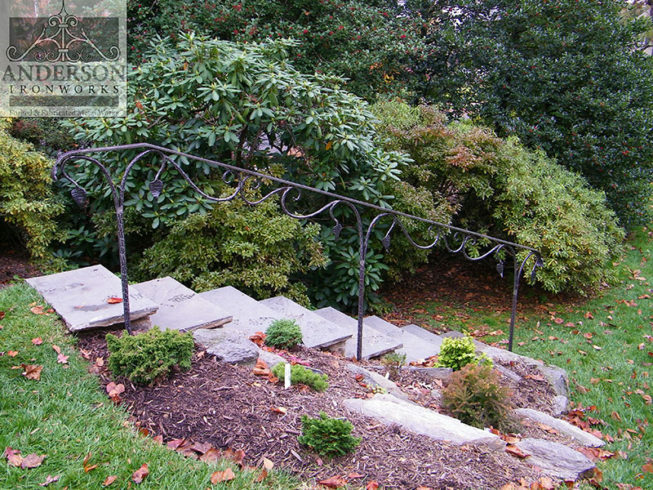 For a garden stairway surrounded by lush greenery, you may want something less formal. Our custom repousse metal work, which is something of a lost art in our industry, can add an element of delight to your railing. Our family business has been serving the Philadelphia region for 50 years. When it comes to attention to detail, expert craftsmanship and superior customer service, homeowners know they can trust us to do the job right. Reach out to learn more about our process!